These business promotional animation have been used by companies on various digital and social media platforms to advertise themselves and their products & services. Business promotional videos are engaging & effective and can give you a massive boost in terms of online presence and customer or client engagement. Business Promotion refers to advertising business products, services to its customers. It can be also called an activity or marketing performed to make products or service available for the customers and indirectly increasing growth and conversions. MetaBrite is a global leader in the development of automated receipt capture and processing technologies company. 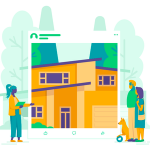 They started with a simple goal in mind leverage technology and great design to get a more complete, long-term picture of purchasing behavior across millions of distinct households. The business promotional animation video explains how MetaBrite shows clear purchasing details for products. Komfo is a fast-growing company in enterprise software. 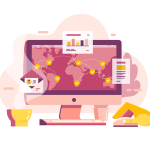 They deliver a world-class software solution to help brands connect with their customers and drive business value from the power of social media insights and actionable data. The business promotional animation video shows how Komfo provides social media services to business. SOS media production company is a budget enhancing, deadline smashing, detail oriented, client satisfying full service media production house. They are a full service marketing and design agency specializing in corporate branding, graphic design, web design, online marketing strategies, social media management. The business promotional animation video highlights how SOS provided media services. Felda Global Ventures holdings berhad (FGV) is Malaysia’s leading global agribusiness and is the world’s largest producer of crude palm oil (CPO). The company operates in more than 10 countries across Asia, North America and Europe. Its sustained success and achievements can only come from respect for people as well as the environment, which is the main source of their business. The business promotional animation video talks about the effective outlook of FGV. Telefonica is one of the largest integrated telecommunications company in the world in terms of market capitalisation. It offers telephony, mobility and collaboration services from the cloud, thereby increasing productivity. The business promotional animation video shows how Telefonica provides unparalleled benefits and solutions to your business. 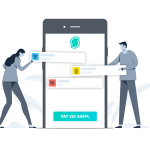 Storygize helps brands increase awareness and drive conversions with the most efficient and scalable native advertising solution on the market. Brands and their agencies work with Storygize to drive brand engagement, leads and sales by distributing their content to target audiences across premium websites and mobile apps. The business promotional animation video showcases the benefits of the Storygize. Zitra GmbH provides fashion management consultancy services for brands and retailers in the European market. The company offers services in the areas of consulting, product onboarding, media and data management, accounting, stock level management, order collection, fulfilment. The business promotional animation video showcases how Zitra GmbH can aid in taking your business to higher levels. ShipLPS reduces your freight costs and simplifies your supply chain. They do this by leveraging proprietary technology, their industry leading carrier partnerships and three decades of experience. Their efficiently managed transport solutions reduce the trouble of dealing with shipping logistics. The business promotional animation video gives an overview of ShipLPS logistics solutions. Wanderful media is a retail-focused media company, engaging consumers via our shopping apps, mobile and regional networks. Wanderful media owns and operates the Find n Save apps, FindnSave.com, coffee table, the wanderful mobile network and the wanderful regional network. The business promotional animation video helps new audiences understand Wanderful’s concept and ease of use. Webfecta is an independent SEO auditing firm company. Its SEO audit services will provide you with a thorough analysis of your website’s performance before providing a detailed report of your website ranking. The business promotional animation video showcases how Webfecta will give you a bird’s eye view of your website’s optimization. BCE (Bell) is Canada’s largest communications company, consistently investing more than any competitor in innovation to provide a comprehensive and groundbreaking suite of broadband communications. It’s content services to consumer, residential, business, not-for-profit and government customers in Canada. The business promotional animation video tells how Bell’s internet fulfills their customer’s requirements. PureCars is the Charleston based automotive technology company. It offers a full suite of digital advertising solutions that move automotive customers from their computer chair to the driver’s seat. The business promotional animation video communicates how PureCars offers online value reports, information, listing and advertising services on used cars and trucks for car buyers and sellers. With its roots in industrial, specialty and screen printing products, Kiian Digital has a competitive advantage when it comes to the development of dedicated products for various print heads and a wide range of applications. The business promotional animation video is an introduction to Kiian Digital that explains what the company is about. Kwanji is an online FX comparison platform empowering businesses globally to trade more efficiently. Their comparison platform allows you to compare deals on foreign exchange. The company created a solution by giving SMEs a platform to facilitate trade payments in a way that allows them to compare multiple regulated FX brokers instantaneously. The business promotional animation video explains about how Kwanji helps to compare and select best match by giving instant online access to multiple forex providers with the best deals. Newcomers is a relocation and moving company that caters to its clients’ varying needs. It offers bundled destination services as well as stand alone services. Their ability to hear their clients and work with their needs in a tailor made fashion. The business promotional animation video shows how Newcomers takes its bold ambitions to new heights. Telstra is Australia’s leading telecommunications and technology company, offering a full range of communications services and competing in all telecommunications markets. The scalable IoT stack supports millions of devices, providing users with everything they need to successfully implement an IoT solution. The business promotional animation video shows Telstra’s digital journey and the innovative steps it took. Serving since 1829, Dancker is an interiors solution provider that helps improve and optimise your home and working space. Its services includes architecture, furniture and technology and also provides paint, wallcoverings & imaging, asset & inventory management, facility management support and technical services. The business promotional animation video shows the evolution Dancker with the advancement in technology. Enphase Energy, a global energy technology company, is leading the charge to bring smart, connected solar energy to every home, business and community. The company delivers simple, innovative and reliable energy management solutions that advance the worldwide potential of renewable energy. The business promotional animation video explains how Enphase Home Energy Solution will help bring clean energy to all. Sensis is Australia’s number one marketing services company. It engages consumers with businesses and delivers on that promise through its leading digital consumer businesses, search engine marketing and optimisation services, website products, social, data and mapping solutions. The business promotional animation video talks about the features of Sensis as a marketing platform. Shell is a global group of energy and petrochemicals companies. The company helps meet world’s growing demand for energy in economically, environmentally and socially responsible ways. The business promotional animation video shows how Shell is taking a responsible approach to help meet the future needs. With the above business promotional animation video examples, it’s evident that companies are fast integrating videos in their marketing campaigns and various other touchpoints. If you are planning to develop a video, a good start is to develop a brief of what can be the tone and style for your videos. We advise you to be different and unique while you create your messaging through the videos.